Are you looking for high-quality driving lessons around Wandsworth? Do you need a driving school that offers competitive rates for lessons and flexible hours to suit you? Do you want to find an instructor dedicated to making you a safer, more confident driver? Then the Mini Driving School in Wandsworth is exactly what you’re looking for. At the Mini Driving School in Wandsworth, we employ fully qualified and experienced instructors who can take you through the process of learning one step at a time. Our instructors are patient and customer-focused, with an emphasis on making their students into better, safer drivers in the most efficient way possible. The curriculum is geared towards making you a confident, well-equipped driver, and can be tailored to suit you at any stage of your learning. To get a permanent driving licence, you must be at least 17 and must pass both a practical test and a theory test. The Mini Driving School in Wandsworth is built to offer you both theoretical knowledge and extensive practical experience in various weather conditions and on assorted roads, getting you to the point where you can pass your tests on the first try, and saving you time, money and effort spent on retakes! If you learned to drive outside the UK, a refresher course can help you re-learn how to drive on the left side of the road, potentially saving you huge amounts of trouble – while initially very counter-intuitive, under our instructors you’ll soon master it! While a number of driving schools exist to teach student drivers in Wandsworth, Mini Driving School Wandsworth is the only one that uses exclusively new model BMW Minis, which offer award-winning safety and comfort. We believe that excellent-quality cars help to contribute to excellent-quality lessons. Your instructor will assess your training needs during the course and will provide valuable tips on how to handle your driving test, giving you the best possible chance of passing first time. 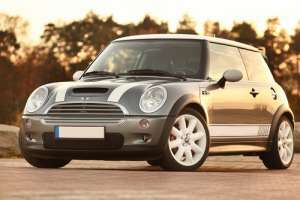 Mini Driving School Wandsworth is exactly what you need to learn in style. If you are based within the Wandsworth area, our instructors can pick you up at a time that suits you and give you one-to-one lessons designed to make you into a safe, confident driver. The lessons will take place over different types of roads to ensure you have all the relevant road experience to pass your practical driving test, and theoretical knowledge will be taught to help supplement the practical experience and prepare you for your theory test. Driving lessons are a crucial step in building novices into experienced drivers, so our driving instructors will show you how to drive confidently using the most up-to-date teaching methods and information. Call us when you need driving lessons in the Wandsworth area! Good communication, skilled and committed instructors and a solid plan are vital components to learning to drive well, so we employ only the most skilled and experienced instructors, and instill an emphasis on customer satisfaction and student-focused teaching that will carry our students to success in their tests. Lessons are scheduled according to your availability, and our instructors will come to you, taking the stress out of arranging driving lessons! You can rely on Mini Driving School for driving lessons in South London.